Venezuela is experiencing its deepest crisis in recent history, the result of a monumental deterioration of salary and purchasing power, and a now-chronic scarcity of food and medicine. Sky-high inflation has put the price of basic goods out of reach for many, resulting in widespread hunger and malnutrition. Meanwhile, the country is lurching toward authoritarian rule while remaining embroiled in violent protests. Paradoxically, this situation comes as Venezuela records its highest income levels ever. The crisis—the combined result of almost two decades of economic mismanagement, falling oil prices, deterioration of democratic institutions, and insecurity—has led record numbers of Venezuelans to seek a better life abroad, after giving up hope that the domestic situation will improve anytime soon. In 2016, some 200,000 Venezuelans left the country, double the average rate per year between 1999 and early 2015. Venezuelans are now the top group applying for asylum in the United States, with applications having surged nearly 170 percent in fiscal year (FY) 2016 compared to the previous year; flows heading to Europe and South America also have grown. In many cases, Venezuelan emigrants take with them valuable skills and education. In addition, political persecution means that those most vocal in opposing the government, who might otherwise be part of a solution, are among those likely to flee. In order to assess opportunities for the diaspora to contribute to reconstruction—whether they plan to return or not—the author has conducted a study profiling Venezuelans abroad and what their hopes are for the future of Venezuela. This article examines roots of the current crisis and highlights project findings, while also scoping future opportunities for diaspora engagement. The economic crisis has its roots in Hugo Chavez’s “21st century socialism” model, imposed after he took office in 1999. Elected on a promise to diminish the influence of the elite, Chavez set out to channel some of the country’s vast oil wealth toward social welfare programs for the poor (in the end, this did little to improve their situation). His socialist project granted a leading role to the state and centralized planning, while minimizing that of the market system. After Chavez died in 2013, his successor, Nicolás Maduro, has largely continued down the same path, even as conditions have badly deteriorated. The state provides itself with a legal framework reinforcing its role and aiming to eliminate private property through the confiscation and nationalization of private businesses. The resulting consequences are immense. Public employment rose from 14 percent of the workforce in 1998 to more than 20 percent in 2017. Meanwhile, private investment has shrunk drastically, and more than 60 percent of industry and nearly 40 percent of commercial, agricultural, and service enterprises have disappeared over the last 18 years. As private employment has fallen, informal work and unemployment have swelled, as has the public deficit. Rationing and the scarcity of food and goods also have resulted. Almost all state enterprises are bankrupt, demanding public resources that could have been allocated to the pressing needs of the people. Conservative estimates indicate that these failing state enterprises have cost Venezuela more than US $25 billion. Although Venezuela sits atop the world’s largest known crude oil reserves, the petroleum industry has not escaped the deterioration. The country’s main source of foreign currency had, until very recently, a worldwide reputation. Today there is much uncertainty about the viability of the oil industry. Falling oil prices worldwide have hit Venezuela hard, but they do not tell the whole story. Production has dropped by about 1 million barrels per day, while the government has sold future oil production in exchange for much-needed immediate cash, and the number of workers has increased three- or fourfold since 1998. Having lost markets and lacking resources, technology, and management, the oil industry faces significant difficulty starting the recovery process. Rather than take responsibility, the government attributes these trends to U.S. imperialism and a decrease in oil prices. The latter argument is easily rebuttable: In the 1980s and 1990s, oil prices worldwide fell as low as US$10 per barrel, compared to the $46 to $55 rate seen in recent months, even when adjusted for inflation. It is difficult to imagine how much worse off Venezuela would be today if prices had fallen that low again. Unsurprisingly, Venezuela also holds the top place in the global Misery Index, which ranks countries by economic malaise. Though Venezuela lacks official statistics on economic performance and other indicators, alternative sources indicate that gross national product (GNP) has experienced a significant decline. Conservative estimates for this year put it at -4 percent, while others estimate up to -7.5 percent. Overall, Venezuela has lost one-third of its GNP in the last three years. The economic crisis has had crippling effects on the lives of everyday Venezuelans. With private businesses in the intensive care unit, incapable of producing the goods and services required by society, shortages have become a fact of life. The regime’s inept handling of the once-vibrant economy has led to a collapse of its ability to import necessary goods, causing chronic shortages in all sectors. Government spokesmen deny the existence of the crisis and try unsuccessfully to cover it up by distributing bags of food. When it comes to inflation, Venezuela has one of the highest rates in the world. In 2016 inflation topped 600 percent, while in 2017 it is expected to climb to quadruple digits. Large macroeconomic imbalances prevent exchange rate stabilization and make it difficult to address microeconomic instability. Prices are given in dollars while salaries are in depreciated bolivars, with low purchasing power. As a result, poverty and extreme poverty have grown rapidly in Venezuela in recent years. Some 82 percent of households are now in poverty, compared to approximately 30 percent in 2013. Further, 70 percent of Venezuelans are in the informal sector or unemployed. Today, about 14 percent of Venezuelans report eating twice or less a day. Food production is just 30 percent of what is needed to feed the population, with 80 percent reporting food shortages and 90 percent medicine shortages. Nearly 23 percent of children under age 5 are suffering from acute malnutrition and another one-fourth are at risk, according to the nonprofit Caritas. A new, troubling scene is becoming commonplace: citizens looking for food in the trash. Hospitals and private clinics also lack supplies, medical equipment, and medicine to serve their patients, since the government has not paid its debts to health-sector companies and has cut its budget for public health. As a result, once-eradicated diseases have reappeared, anemia is threatening future generations, and maternal and neonatal mortality has increased. The housing deficit has also grown, and lower-income populations suffer a marked deterioration in basic services: 40 percent do not have a reliable supply of water and more than 85 percent lack electricity. Blackouts have increased in frequency and duration across the country, leading to reduced work hours and early closure of shops and malls. Residents have been subjected to severe water rationing, for hours or days at a time. Unsurprising, the economic deterioration has been accompanied by growing insecurity, as well as impunity for violent offenders. Venezuela ranks the second most violent country not openly at war, and its capital, Caracas, has the highest homicide rate in the world. Just one in ten cases reported is prosecuted, the attorney general has acknowledged. Emigration has surged since Chavez ushered in his Bolivarian revolution; 7 percent of the Venezuelan population—approximately 2 million people—have left the country, which now has a population of less than 30 million, since he took office in 1999. Nearly 300,000 Venezuelans have moved abroad just since the second half of 2015, including the highly educated, entrepreneurs, students, and workers. This exodus represents an unusual break with Venezuela’s historic tradition of being a country of immigrants. Venezuela welcomed migration from all over the world, first from Europe (mainly Spain, Italy, Portugal, and Germany), and later from elsewhere in Latin America: Colombia, Peru, Ecuador, Argentina, Chile, the Dominican Republic, and Haiti. When asked about their reasons for migration, Venezuelans abroad consistently mentioned insecurity, shortage of goods and services, deterioration of social and economic conditions, and impunity, all rooted in the political and economic model of Chavismo. Public opinion surveys show that 9 out of 10 Venezuelans rate the current situation as bad and in need of immediate remedy. As the social phenomenon of emigration takes on such a large dimension, it demands more attention from researchers and policymakers. To this end, the author and colleagues launched a research project called Voice of the Diaspora (La Voz de la Diáspora) to give voice to those who have left, and encourage their participation and that of the networks they have created in an eventual Venezuelan reconstruction process. The study, the first of its kind and carried out by a team of social scientists at Universidad Central de Venezuela and others globally, characterizes and quantifies the global distribution of the Venezuelan diaspora. The researchers have made extensive use of the Internet and social networks such as Facebook, Twitter, Skype, and FaceTime, through which they conducted questionnaires, in-depth interviews, workshops, and seminars. 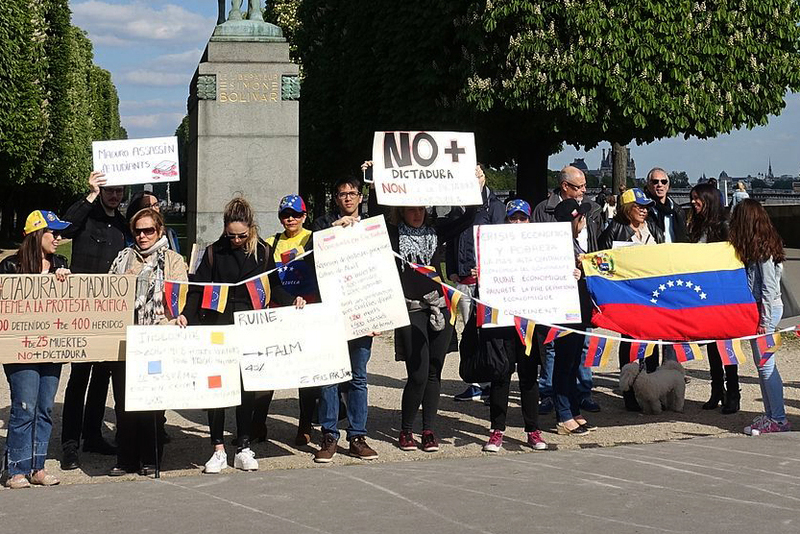 The study, which included online surveys, focus groups, or face-to-face interviews with nearly 4,000 people, inquired about respondents’ reasons to emigrate, their desire to return to Venezuela, and their willingness to participate in the reconstruction process. The information collected allows for the characterization of the Venezuelan diaspora by sociodemographic, professional, academic, and family characteristics; degree of integration into the host country; reasons for emigrating; and desire (or lack thereof) to return before the situation improves. The study revealed that Venezuelan emigration is made up of people who have many years of experience in their fields of expertise and high levels of education. About 90 percent have a university degree, and of these 40 percent have at least one master’s degree and nearly 10 hold doctorates. The majority of respondents said they feel very integrated in the receiving country. Approximately half have children, and 20 percent live with nationals of the host country. They reported valuing respect for the norm and quality of life at destination, but miss family and friends in Venezuela. They also see themselves as entrepreneurs with a high willingness to work. For those who have yet to emigrate, but are considering doing so, a significant share work in the private sector. Interviews with diaspora members make clear that rising numbers of relatives and friends are making arrangements to migrate. A high percentage of those interviewed, both in Venezuela and abroad, have a family member or a close friend outside the country. There is a close correlation between this migration and the previous flows that arrived in Venezuela: The children and grandchildren of migrants nationalized in Venezuela now retrace the paths of their ancestors, mainly to Europe. As long as the country continues to deteriorate, the flow will not stop and the share of young people eager to emigrate will continue to increase. Emigration will only further exacerbate many of the social and economic problems Venezuela is facing. The politically persecuted, those fired from the oil industry, and those treated as second-class citizens in their own country—among them health professionals, workers in the cultural sector, journalists, and social communicators—are all under pressure to leave. The study researchers inquired about the willingness of emigrants to return and participate in the rebuilding of democracy and reconstruction of Venezuela. While respondents expressed a very limited willingness to return, the commitment to participate in some capacity was practically unanimous. The project organized the diaspora into the “three Es” (entrepreneurs, employees, and estudiantes, or students), each group with its own particular knowledge and skill set. All expressed an interest in being part of the recovery process from wherever they are, a manifestation of the saying “Estamos lejos pero no ausentes” (we are far, but we are not absent). How can this willingness to participate be translated into action? And can this circulation of human capital start immediately or will it be necessary to wait for a change of government? In reality, the answers to these questions raised by the research project also outline its future agenda. New forms of human-capital circulation are already happening, including in the fields of research, writing and editing, psychotherapy, medicine, education, software development, and in the strategic alliances and networks built by the media. The diaspora’s knowledge and networks facilitate the staging of co-development strategies, representing an opportunity for Venezuela to acquire knowledge, competencies, technology, and social capital that it would not otherwise have the ability to obtain. Migrants also send remittances, food, and medicine back home, which help many families survive; in 2016, Venezuelans abroad sent an estimated $106 million in remittances, according to the World Bank (however, the large unofficial channels for remittances mean this is likely an undercount and it is difficult to know the real amount remitted). At the political level, emigrants have gained international support for the survival of Venezuelan democracy. The European Parliament, Organization of American States, and parliaments around the world have expressed support for a return to democracy. The involvement of the diaspora and the networks they have built will be important to the reconstruction of Venezuela. The damage that the regime has inflicted will not be resolved with quick fixes, and the current government will likely hinder the transition to democracy. It will be necessary to address the most pressing problems facing Venezuelans by creating sustainable conditions for solid economic growth and resumption of human rights. These will benefit from the use of the entrepreneurial capacity and know-how of the diaspora, as well as the exchange of ideas, innovation, and technological development. The growth of the diaspora is just one of the side effects of Venezuela’s economic and political crisis. However, the skills and knowledge of all Venezuelans, including the diaspora, represent the most valuable asset that the country has for its reconstruction, however difficult—and their willingness to become involved may help move the country forward. Caritas Internationalis. 2017. Children Face Hunger Crisis in Venezuela as Malnutrition Soars. News release, May 16, 2017. Available online. Consejo Ciudadano para la Seguridad Pública y la Justicia Penal A.C. 2016. Caracas, Venezuela, la ciudad más violenta del mundo del 2015. January 25, 2016. Available online. Fundación Bengoa. Various years. ENCOVI: Encuesta sobre Condiciones de Vida Venezuela. Available online. Gillespie, Patrick. 2017. Thousands of Venezuelans Fleeing to the U.S. CNN Money, May 23, 2017. Available online. Global Security. 2016. Venezuela — Economy. Last updated December 15, 2016. Available online. Hanke, Steve. 2017. The World’s Most—and Least—Miserable Countries in 2016. CATO at Liberty blog, January 17, 2017. Available online. Krogstad, Jens Manuel and Gustavo Lopez. Venezuelan Asylum Applications to U.S. Soar in 2016. Pew Research Center FactTank blog, August 4, 2016. Available online. Páez, Tomás. 2017. La Voz de la Diáspora Venezolana: Second Edition. Madrid: Los Libros de la Catarata. ---. 2013. Tercer Observatorio de la Pequeña y Mediana Empresa Venezolana. Self-published. Reuters. 2017. Venezuela 2016 Inflation Hits 800 percent, GDP Shrinks 19 Percent: Document. Reuters, January 20, 2017. Available online. Venezuelan Central Bank. N.d. Accessed May 31, 2017. Available online. Venezuelan National Statistics Institute. N.d. Accessed May 31, 2017. Available online. World Bank. 2017. Venezuela Overview. Last updated May 2, 2017. Available online. Tomás Páez is a Permanent Professor at Universidad Central de Venezuela. He is Coordinator of the global project La Voz de la Diáspora Venezolana and has authored or coauthored more than 20 books about strategic planning, quality, and productivity. Free Movement in South America: The Emergence of an Alternative Model? How Can Talent Abroad Induce Development at Home?